Tough love. 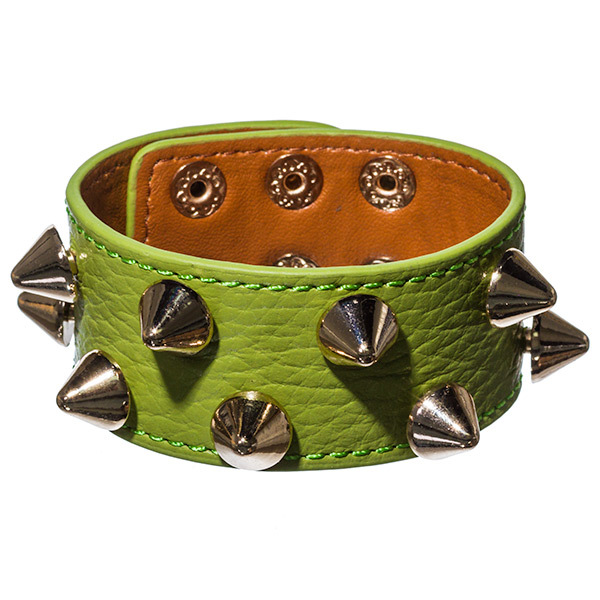 The Keila is a thin leather cuff in lime green featuring gold spike detailing and press-studs. Bring a bright dose of punk to your cocktail look. Support jewellery Australia and buy from Oz Bling today. We guarantee high standards of quality at lowest prices.